Press play and forget about buffering with the Archer C9. The Wireless AC router creates high-speed dual-band Wi-Fi speeds up to 1900 Mbps and increases total throughput up to 430% faster. Now, you can stream in 4K and game online without interruption on your Xbox, PlayStation, PC or Mac. 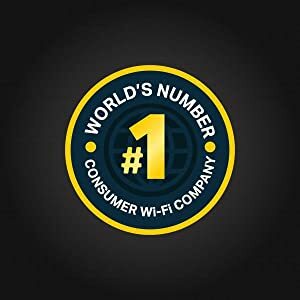 Plus, the router’s powerful 1 GHz dual-core processor keeps your network running at blazing speeds even when many devices are online at the same time. 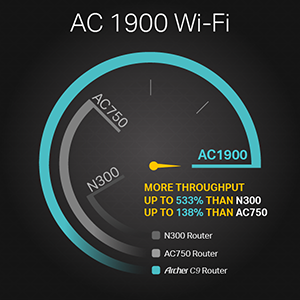 Enjoy reliable Wi-Fi across your home thanks to the Archer C9’s three high-performance dual-band antennas and Beamforming technology, which strengthens Wi-Fi connections. The Archer C9 also lets you assign priority to your favorite online activities through QoS, so you never have to worry about lag when you’re gaming and streaming. 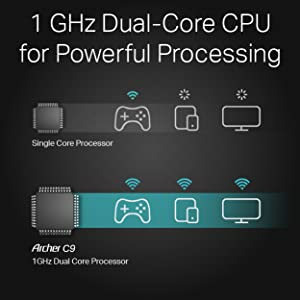 At the heart of the Archer C9 is a 1 GHz dual-core processor that balances the demands of your devices to keep their connections fast and uninterrupted. 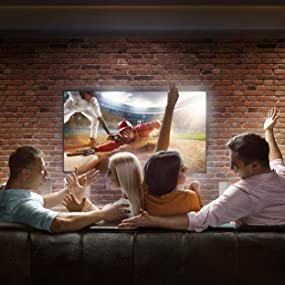 Game online, stream movies, download files and share media while the powerful dual-core processor seamlessly manages each Wi-Fi band, every connection and all of the router’s hardware and software. 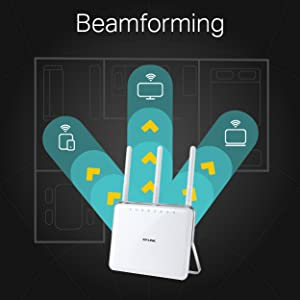 Beamforming technology helps the Archer C9’s high-powered dual band antennas locate Wi-Fi devices and focus its wireless signal towards them instead of simply sending the router’s signal in all directions at once. With Beamforming, Wi-Fi connections made by the Archer C9 are stronger and more reliable, even as you carry mobile devices like smartphones and tablets from room to room. Wireless AC creates Wi-Fi powerful enough to handle the demand of 4K streaming. Dual 2.4 GHz and 5 GHz bands allow more devices to connect to your home network at once. Experience smoother 4K streaming and online gaming with high-performance AC1900 Wi-Fi that delivers up to 1900 Mbps of dual band Wi-Fi speed. 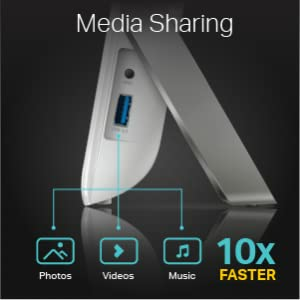 A USB 3.0 port lets you connect external drives to the router and runs 10x faster than USB 2.0 so you can quickly share files, photos, video and music wirelessly with devices connected to your home network. 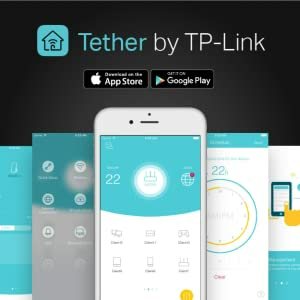 Set up and manage your Wi-Fi through the TP-Link Tether app, available for both Android and iOS. Tether’s simple layout lets you quickly access Wi-Fi settings such as guest privileges, scheduling and device management right from your smartphone. *According to latest published IDC Worldwide Quarterly WLAN Tracker Report, Q3 2017 Final Release.